Tajikistan may be the poorest of the five former Soviet Republics known as the "Stans" but that does not stop the landlocked Central Asian country from dreaming big, even on the sporting front. A country ravaged by poverty and an Islamic insurgency that shares a border with Afghanistan has nonetheless found the time and motivation to tackle a new challenge -- the Winter Olympics. Tajikistan is due to send two skiers -- Andrei Drygin and Alicher Kudratov -- to Sochi for the 2014 Winter Games that begin in February. There may be just one ski station in the country, dating from the Soviet era, with just the one ski-lift and an off-road vehicle needed to access the site, but Tajikistan is nonetheless a country made up of 93 percent mountainous terrain. It should be ideal for skiing but the lack of infrastructure and the lack of funds to build any is what makes the story of two Olympic skiers such an unlikely one. Tajikistan has a very modest sporting history, although the country has managed three Olympic medals over the last two summer editions. Those, however, could not have been won in disciplines more removed from winter sports. Tajikistan does, it would seem, have a martial and combat tradition, with their three medals -- a silver and two bronze -- coming in judo, freestyle wrestling and boxing. Yet now, two determined amateurs are amongst hundreds taking to the slopes of the country's only ski-station 50 kilometres (31 miles) north of the capital Dushanbe to hone their skills. Only Drygin -- a veteran of the past three Winter Games -- and Kudratov will be displaying their wares on the most prestigious of stages from February 7-23 next year at the Russian resort. Their numbers could have been doubled but two more skiers missed out on qualification, one due to a road accident in Iran, while the other, a 17-year-old hopeful, simply failed in his bid. 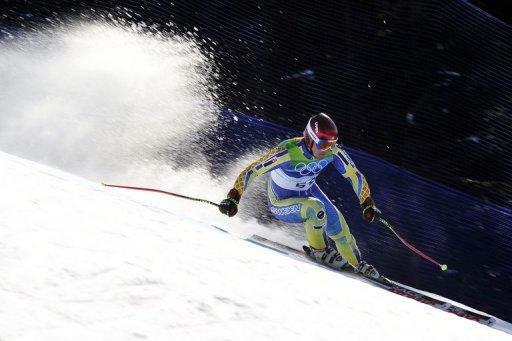 According to sports commentator Latofat Saidova, the world should not be so surprised to see the TJK country code emblazoning ski-suits in Sochi. "There is potential and skiing amateurs but we need to invest in professional sport because our athletes lack experience of international competitions, that's why we never win any medals in this sport," said Saidova. Although Tajikistan gained its independence from the Soviet Union more than 20 years ago, it plunged into a bloody civil war from 1991 to 1997 between the leaders and Islamist fighters. The country of seven million people first competed at a Winter Olympics in 2002 in Salt Lake City, with Dryguine the only participant, as he has been in each of the three editions Tajikistan attended. And according to Tajik Olympic Committee spokesperson Murodali Techayev, there is not likely to be a glut of athletes qualifying for future Games either. "It's very difficult to prepare for the Winter Games given that we don't have a centre of preparation worthy of its name," Techayev told AFP. In order to train in summer, they are forced to "go away with a group of skiers to a glacier without installations, bringing food and tents" with them, added Techayev. But finance is a problem, even though the two Olympic participants receive funding from their Olympic committee that dwarfs the average salary in the country. Drygin, 36, receives $1,500 (1,136 euros) while Kudratov, 26, is given $500 -- both considerably more than the average wage of $140. Drygin has the added advantage that he has lived in Russia for several years now where he trains beginners at European ski stations. Tajik skiing may be beset by problems but it is still streets ahead of other winter sports in terms of development. A group of snowboarders was created in 2012 and can now practise their sport in Tajikistan, making it the second most popular winter sport. Tajikistan's Andrey Drygin during the men's Super-G race of the Vancouver 2010 Winter Olympics on February 19, 2010. Tajikistan may be the poorest of the five former Soviet Republics known as the "Stans" but that does not stop the landlocked Central Asian country from dreaming big, even on the sporting front. 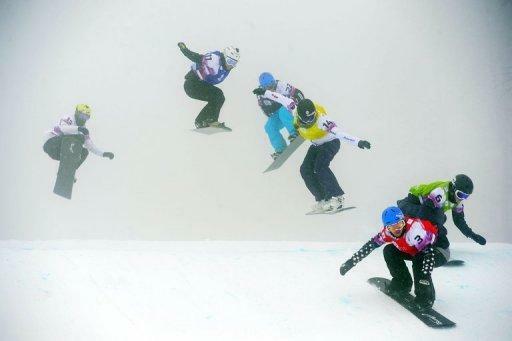 The Ladies' Snowboard Cross finals race near the Russian Black Sea resort of Sochi on February 17, 2013. Italian Michela Moioli won the race. Tajikistan may be the poorest of the five former Soviet Republics but that does not stop it from dreaming big on the sporting front. 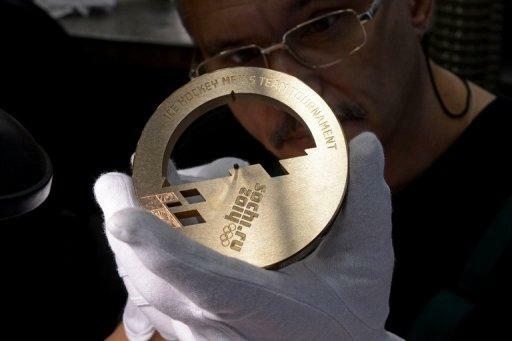 An employee works on a bronze medal for the 2014 Winter Olympic Games in Sochi, at the Adamas jewellery factory in Moscow on July 25, 2013.Tajikistan may be the poorest of the five former Soviet Republics known as the "Stans" but that does not stop the landlocked Central Asian country from dreaming big, even on the sporting front.